Payments have certainly been the major driving force for the wide-scale adoption of biometrics in today’s consumer market. With millions of customers already using biometrics on a daily basis around the world to provide secure convenient user authentication, identity verification and transaction authorisation, we can see that this trend is set to continue over the coming years. In Biometrics for Payments we predict that there will be almost 579 million biometric payment cards in use around the world by 2023. 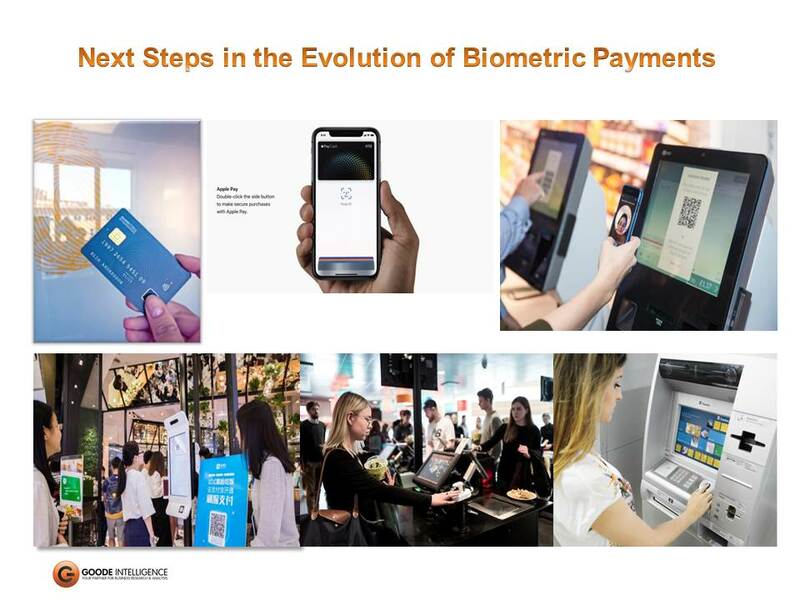 By 2020, these will be used by 1.2 billion users, rising to over 2.6 billion biometric payment users in 2023. This will enable frictionless customer authentication for higher-value contactless card transactions to deliver enhanced customer experience and security. Finally Lina Andolf-Orup from Fingerprint Cards discussed some of the challenges that need to be overcome to drive the use of contactless cards – something that biometric smartcards are well placed to support banks and card issuers with. Lina revealed that one of the barriers currently for contactless card growth around the world is a consumer perception that the cards are lacking in security. This is coupled with confusion about how and where contactless cards work and a frustration with the upper spend cap which is fairly low (currently €30 in Europe) and means that a PIN often needs to be used. By introducing biometric smartcards, the issues around security and customer convenience can both be appropriately addressed and is actually the next logical step for consumers. “Biometrics can be the ‘glue’ between the physical and digital worlds”. So when can we expect to see these new biometric smartcards being used in earnest? The consensus is that following the pilots that are already underway in a number of countries and regions, the ramp-up will start later this year with certifications being approved and the first deployments. Our predication matches this consensus with larger commercial rollouts occurring from 2020. The webinar ended with a lively Q&A debate. There were some very insightful questions invoking great responses. If you would like to listen for yourself, a recording of the webinar is available at https://zoom.us/recording/play/pqXMUPmq-JXpJkQYI2Bg–I7xyZhs17WXhPTvRry-7M_za9gr6ekav5EzYQ3TvaV or if you would like to hear more about this and other topics, future webinars and events, please sign up for our monthly newsletter Konnect at http://eepurl.com/dPqAY1 You can also follow us on Twitter @goodeintel.